Reydon is a suburb of Southwold. In terms of population, they are about the same size. But which one of the two have you heard of? Precisely. Reydon is agri-industrial, and when you cross over the river from one parish to the other, the houses double in price. Not so long ago, a beach hut changed hands in Southwold for £100,000. And yet, Reydon was here first. As with Felixstowe and Walton, Southwold was the fishing hamlet in Reydon parish that grew to become a town. 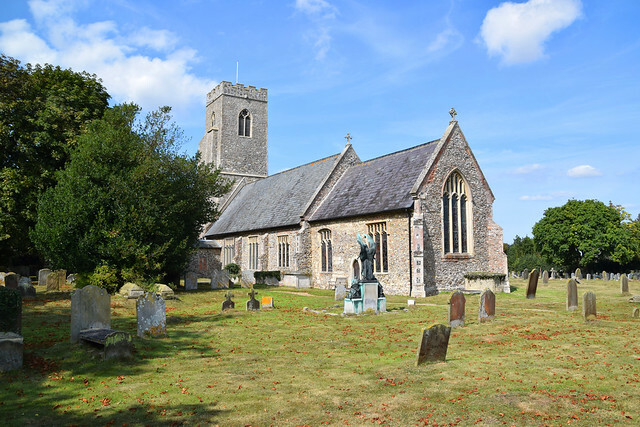 Southwold's early medieval church was a chapel of ease to Reydon church, and while it has since been rebuilt in spectacular style, there is still enough older work surviving at Reydon to give an idea of the mother church that early Southwolders knew. 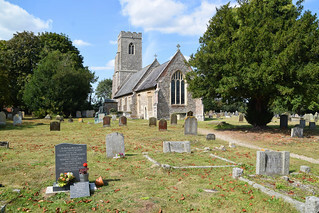 St Margaret sits away from the houses, on the road towards Wangford, anonymously pretty in a wide churchyard. Its basic early 14th Century structure underwent a serious tarting-up in the 15th century, with the acquisition of perpendicular windows. 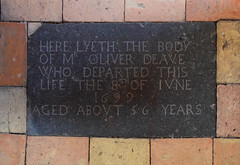 In the churchyard wall there is a surviving mounting block, so that the gentry could climb straight onto their horses from the churchyard without descending to the muddy road, and a boot scraper beside the porch dated 1793. 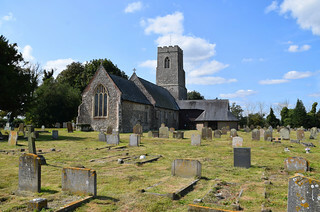 The attractive 1980s extension on the north side of the nave was by Andrew Anderson. 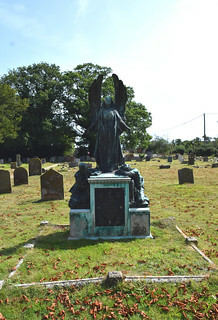 The graveyard sprawls to north and east, but the most striking memorial is probably the 1920s bronze angel to the south of the chancel. 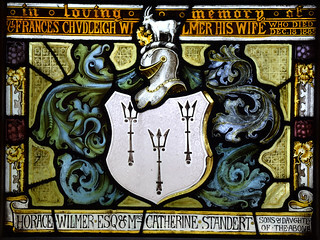 The work of Paul Mountford, the memorial remembers Fanny Watts, and was commissioned by her husband Leonard. 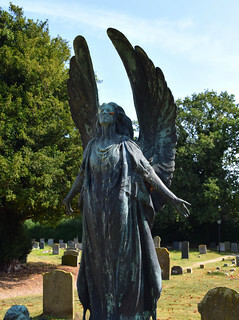 The angel prepares to soar heavenwards, while on his pedestal Leonard Watts and the allegorical figure of Grief lean in heavy despair. You step into a clean, bright, neatly-kept interior, perhaps a bit smaller than might be expected from the outside. 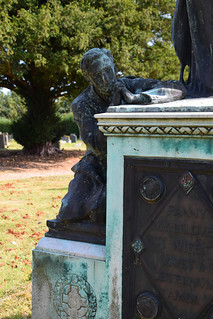 I'd last visited on a gloomy late afternoon in 2002, and had remembered the church as still bearing all the hallmarks of the enthusiastic Victorians who re-ritualised it in the 1870s. 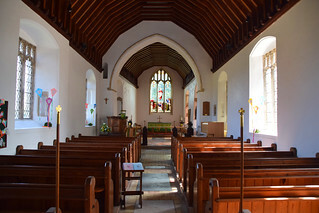 The organ had been moved away from the north-west corner of the nave when the extension was built, and placed unhappily up in the chancel, blocking a view of the east end. 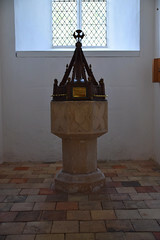 But this has now gone, and in the light of a summer's day the church has a feeling of great simplicity and space. 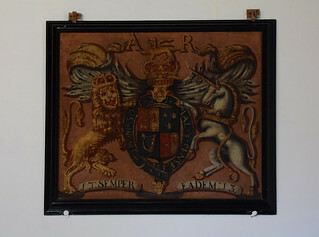 The font is set in the brick floor beneath the tower, and the Queen Anne royal arms above the south doorway are one of the best sets in Suffolk. There is an image niche in the eastern splay of each window, one with a lovely modern Blessed Virgin and Child statue in it. 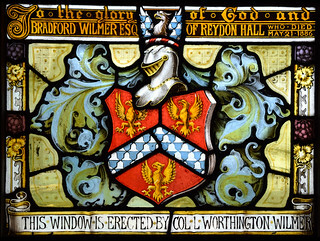 The clear glass of the nave windows lead the eye east to the colours of the chancel, with their 19th and early 20th Century stained glass. 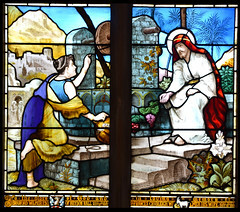 The best is the window on the north side of the chancel by A L Moore, depicting Christ meeting the Samaritan woman at the well. Moore depicts her in a blowsy, opulent fashion, as if to suggest to us that she really has had six husbands, and that she's not married to the one she's with at the minute. 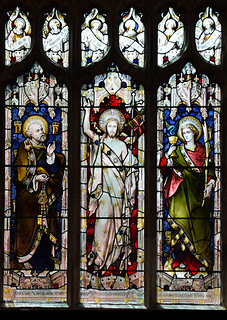 The glass opposite, of the Risen Christ flanked by St Peter and St John, is by Henry Hughes, early 20th Century and also good of its kind. 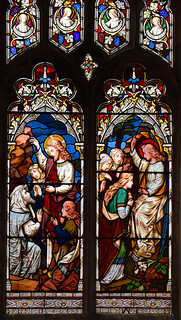 The 1860s window of Christ raising Lazarus from the dead and the three Marys meeting the angel at the empty tomb may be by Heaton, Butler & Bayne. 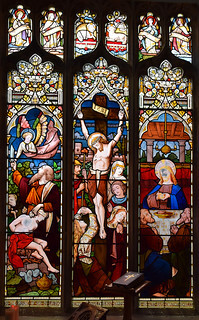 Less good is the east window, a Ward & Hughes 'trampolining Jesus' Ascension scene rejigged with a clear glass background by the King Workshop in the modern era. But all in all, an attractive grouping which tops off this pleasing little church very nicely.